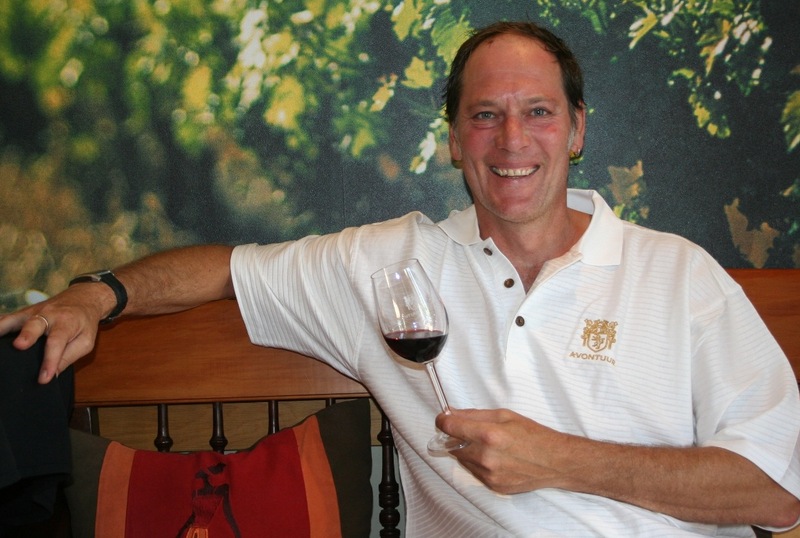 Jan van Rooyen with nearly two decades’ worth of winemaking experience, was recently appointed at Avontuur Estate as winemaker. When asked about his objectives for the wines, he said that he has a 10 year plan, but would love to build on the foundation laid by his predecessors and improve on the quality of the premier range wines, especially the Chardonnay. He plans to concentrate on producing great Reds from this farm’s classic Helderberg terroir and have fun with the bubbly, the brandies and the noble late harvest. WHICH WAS THE FIRST WINE THAT MADE ANY SENSE? In 1993 whilst working at the Department of Agriculture, I organized tastings for some of my colleagues and discovered a 1973 bottle of French Sauvignon Blanc in a dusty storeroom. For a laugh, I decided to include it in the line-up, but great was my surprise and pleasure, when it turned out to be fantastic! That really made me think about what I wanted from my winemaking career. MY BEST FOOD & WINE EXPERIENCE WAS…. I am a huge bubbly fan and in my 4th year at varsity Moёt & Chandon launched a dessert-style bubbly, Petite Licorelle, in the most beautiful, mini-packaging. I immediately decided to arrange a 100% bubbly-paired meal and invited 4 friends. Obviously I had to fork out for the Moёt, but everyone else also brought samples of the best they could afford. I cooked my heart out and we had bubbly from the welcome drink right through to the dessert which culminated with my exclusive Moёt! I believed then and still do, that bubbly should not only be kept for special occasions or celebrations, and this meal proved my point. IF YOU WERE NOT MAKING WINE, WHAT WOULD YOU BE DOING? I read fiction, listen to a wide spectrum of music from contemporary through to jazz and opera and when I’m on holiday at the beach, love foraging for fresh mussels off the rocks. Hobbies which I wish I had more time for, include fly fishing and golf. … a tiny, but perfect crystal glass filled to the brim of the world’s most famous noble late harvest dessert wine, Chateau D’Yquem. I’d rather wave farewell to the world with a gorgeous sweet mouthful than anything else!